CLAREMONT, CA—Organizations that think about pricing strategically are best able to weather changing business situations, build customer loyalty, and differentiate themselves from competitors, according to The Society for the Advancement of Consulting® (SAC). A pricing strategy should reflect a solid understanding of your customers and prospects, as well as market and competitive conditions, according to Linda Popky, president of Redwood Shores, CA-based strategic marketing firm Leverage2Market Associates, and author of the book Marketing Above the Noise: Achieve Strategic Advantage with Marketing That Matters. "We often see businesses today use a "freemium" strategy—whereby the base product is free but more extensive features and functionality require additional payments," she says. "The problem comes when your market is not willing to pay for the premium offering. Too many companies expect that if they build it, not only will people come, but they'll also willingly pay the asking price—and that's not necessarily the case. "Look at where your prospects are spending money today and identify where they're likely to have additional needs in the future. Then price your offering to be an attractive combination of features and benefits, at a price they'll find to be a good value," she added. "My clients have stopped pricing software products by features," says Praveen Puri, a software development and innovation expert. "They now provide everyone with the same exact version. This allows them to leverage the cloud and simplify their operations. Instead, they focus on charging a monthly fee according to the number of users in a firm. That way, smaller firms pay less, while larger firms, who will probably need more support, pay more." Dr. Maynard Brusman, a consulting psychologist, executive coach, and emotional intelligence/mindful leadership consultant, notes, "Pricing is the single greatest lever you have to improve profitability. Strategic pricing sets a product or service's price based on the value to the customer or on competitive strategy. Many companies use a Good-Better-Best pricing strategy." According to Dr. Brusman, "I have a niche providing executive coaching and leadership development for leaders at law firms and accountancies. They experience a great deal of pressure from the billable hour requirement, and client/firm demands often adversely affecting performance and productivity." "Pricing based on an hourly rate is entrenched in the culture and business practices of many lawyers and accountants," Dr. Brusman advises his clients. "Cultivate the idea of pivoting from a fixed to a growth mindset. Experiment with value-based pricing to generate growth and revenue by choosing select clients and measure results." 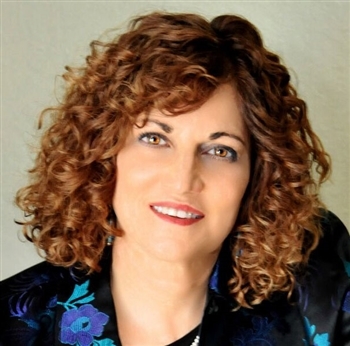 "Our most successful clients definitely think about pricing from a strategic standpoint," points out Lisa Anderson, president of Claremont, CA-based LMA Consulting Group, Inc and manufacturing expert known for creating supply chain resiliency. "In today's Amazonian marketplace, the customer's experience is of paramount importance, and those who can tie pricing to this outcome will stand out from the crowd. "Even in the most technical of industries, value plays an important role. If you can tie pricing to what the customer values, you can price accordingly. We've seen the most cost-sensitive customers pay for rapid delivery, a customized experience, and specialized value. With that said, some customers go for the volume play and set their infrastructure and pricing accordingly. Either strategy can work if thought through and well-executed. However, you cannot rest. Keeping an eye on disruptors and proactively positioning is vital to success," she noted. "Ever since I was asked to write Value Based Fees, I realized that pricing for undifferentiated products and services is a fool's errand," said SAC Founder Alan Weiss, PhD. "The key is to build products and services of such practical and emotional uniqueness that people want to throw their money at you," according to Weiss. "That's Apple, and Uber, and Emirates Airline, and Netflix. To think about pricing strategically, think about unique value first and the power of your brand next." The Society for the Advancement of Consulting (SAC) is the premier association for independent consulting professionals who subscribe to an industry code of ethics and provide significant consulting results among their clients. Founded by Million Dollar Consulting guru Alan Weiss in 2003, SAC offers a series of in-person and online programs to help consultants share best practices and learn from industry experts and thought leaders in the business world. SAC today has members in 10 countries around the world. For more information, go to http://www.consultingsociety.com, email info@consultingsociety.com, or call (909) 563-1803.